Following Stephanie's example, from Teaching in Room 6, this week's Monday Made-It comes from Vistaprint! Business card that kids can use when they do well on their spelling quizzes. How cute is that bee?! I got this idea from somewhere- if you know the source- let me know! Better Bucket Filler cards- business cards that kids can turn into our bucket- those owls are too much! I love your Vistaprint creations!! I bought the same Groupon & I have to use it still. I started making some things, but stopped. I'm glad I did, because I love your Super Speller punch card idea & definitely want to make that for my students. :) Great creations! It's WAY too much fun to discover all of the possibilities- there are so many ideas out there :) Have fun!! My 2nd Vistaprint order came this week and I was super excited! It's off to Vistaprint I go! Thanks for the inspiration! I need to get my Vista Print order in before the July 4th sale is over tomorrow! Great creations! I love the Word of the Day nomination card and the Super Speller card. What great ideas!! I love the spelling cards! Did you create them with a template, or did you have to upload a design you created? I used one of their templates, actually- I just added the text to fit my needs :) Hope that helps! Awesome! Time to place an order! LOVE, LOVE, LOVE these and all of your stuff! Do you have the copies of these on TPT? I just started using pinterest this summer. I was just moved last year from 1st to 3rd grade after 14 years. I am always looking for new inspiration. I feel like I have found a teaching partner who I can completely relate to. Thanks for sharing all of your terrific ideas. Thanks again and welcome to 3rd grade, it's the bestest!! I wanted to thank you for posting so many new ideas. I'm coming back to third grade this school year and it's only my 3rd year teaching so I'm excited to use some of these refreshing ideas in my classroom. Also I am attending my first WBT Conference this week! :) Thanks so much! I love Vista Print now! I just discovered that it's not a scam and I'm SO happy I did!! Those look fantastic! I recently did similar things and shared them on my blog, too. I just love Vistaprint -such versatile and cheap ways to include a little something extra in the classroom! Oh my gosh! I love those spelling punch cards! I may just have to make those.. except for I just placed an order on Vistaprint. Well, I'm sure there will be something else I need to order before the summer is over! Thanks for sharing! The Super Speller punch card is fantastic! I love anything that forces kids to count their successes in the classroom. I absolutely LOVE your bucket business cards! I just implemented bucket filling in my classroom last year and it was hands down, one of the best things I've implemented! I love the grading stamp you used! It's going to make grading so much more easy! Thanks for the idea. I also nominated you for an award. Check out my new blog to claim it! I love your Stuff, especially the note paper. Thanks for sharing. I love Vista Prints, you have great ideas for using it well! Thanks for sharing them! What a great Groupon find! I love your punch card idea - it's the reason I made my first Vista Print purchase last week! 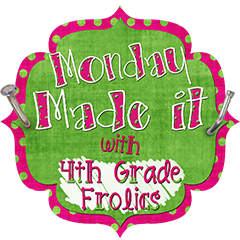 I just blogged about it and mentioned you -- thank you for the wonderful ideas! I love, love all your creative ideas. Is there a way to get a copy of your adorable owl bucket filler cards? I just submitted a huge order to Vista Print. This is great. How can i get free designs for my plastic business cards.? If you own a business, a business logo design is one of the most important marketing tools you will use. With bold colors and a unique design, the business logo design will drive sales by making it easy for customers to remember your company. At Map-It Inc., we offer the best business logo design services to help you develop the face of your company.